Are you talented, quick, and happy in a fast paced kitchen? 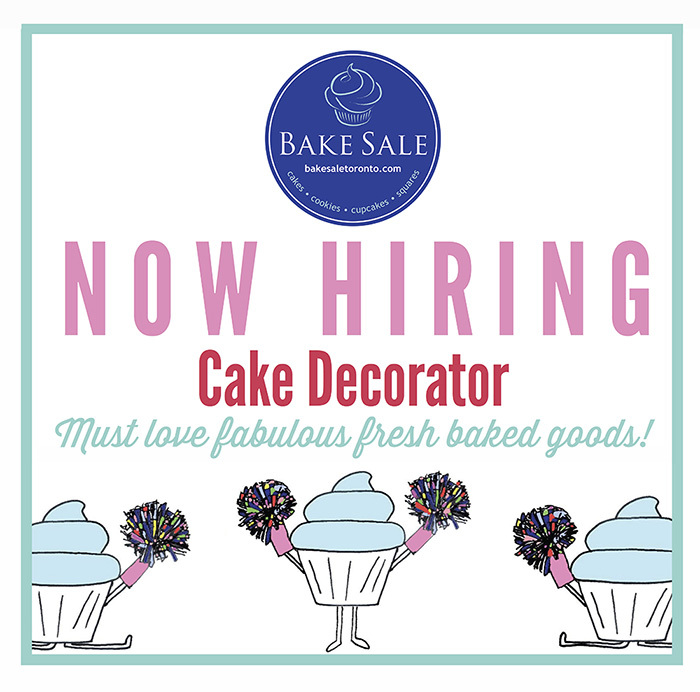 Bake Sale is looking for an experienced Cake Decorator! The ideal person has either been educated as a cake decorator or, has decorating experience in a busy professional environment. If this job is right for you, please send us your resume to info@bakesaletoronto.com.